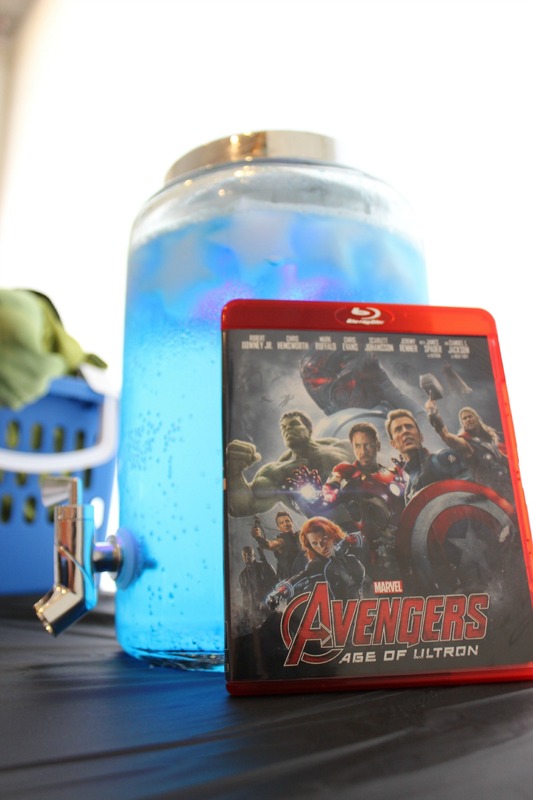 MARVEL’s The Avengers: Age of Ultron made its Blu-Ray/DVD release on October 2nd. 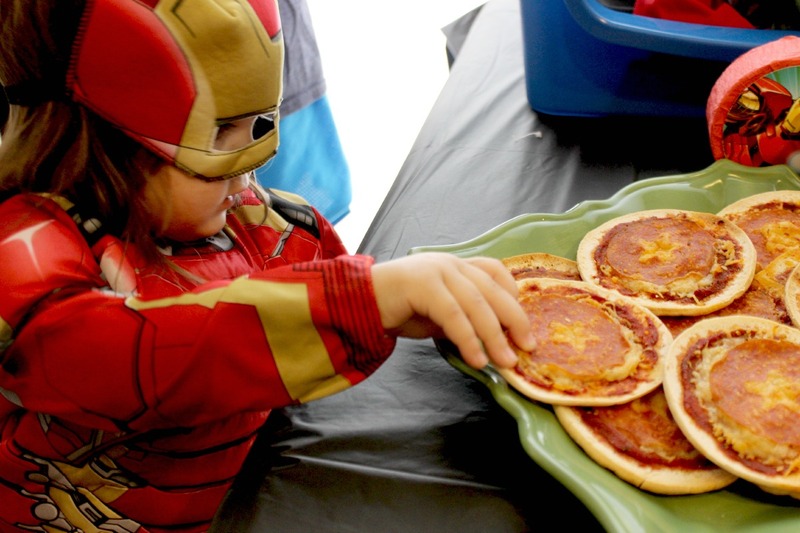 We picked up our copy at Walmart and thought it would be fun to celebrate with a movie-watching party, complete with great costumes, themed snacks, and fun goodies. My boys have been wanting to have a costume party for a while now, and with MARVEL costumes at Walmart for only $15, this was the perfect chance to do it! 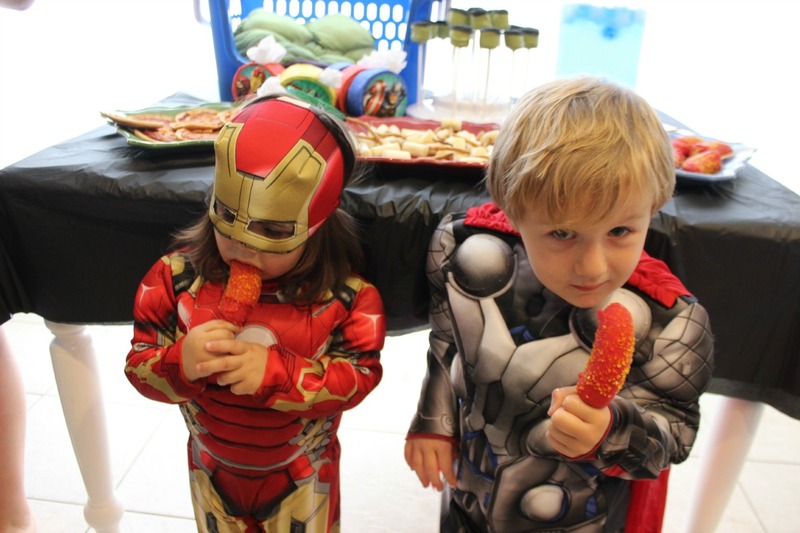 Plus, the costumes can be used for Halloween as well, then into our big dress-up box for superhero pretend play all year long. I love having movie-watching parties. It’s a fun excuse to have friends over, and since we moved to a new house, we have plenty of room for friends now. You can go as big or small as you want. 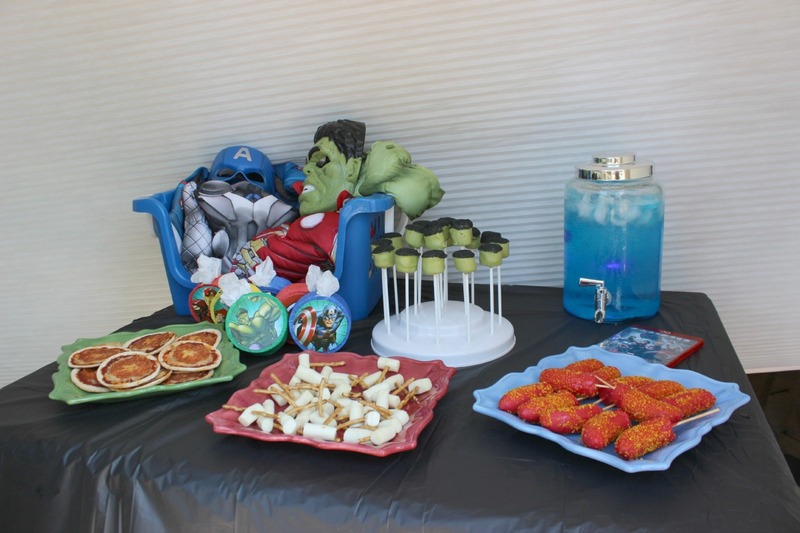 A few snacks and a movie, to a full themed spread and costumes. Guess which one I picked? Throwing a great party doesn’t have to be time consuming. With a little creativity I made almost everything myself, and you totally can too. 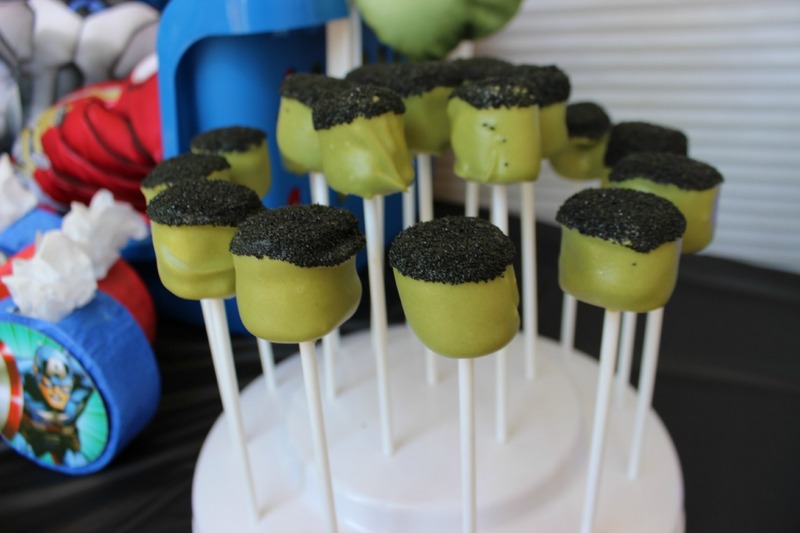 I wanted to give the guests a fun treat, so I spent a few days before the party making mini-piñatas to fill with candy as a cheap and easy parting gift. The piñatas cost almost nothing to make, and some tissue paper and candy fills them right up. I used the same technique as I did for the Star Wars Rebels piñata, but on a smaller scale. 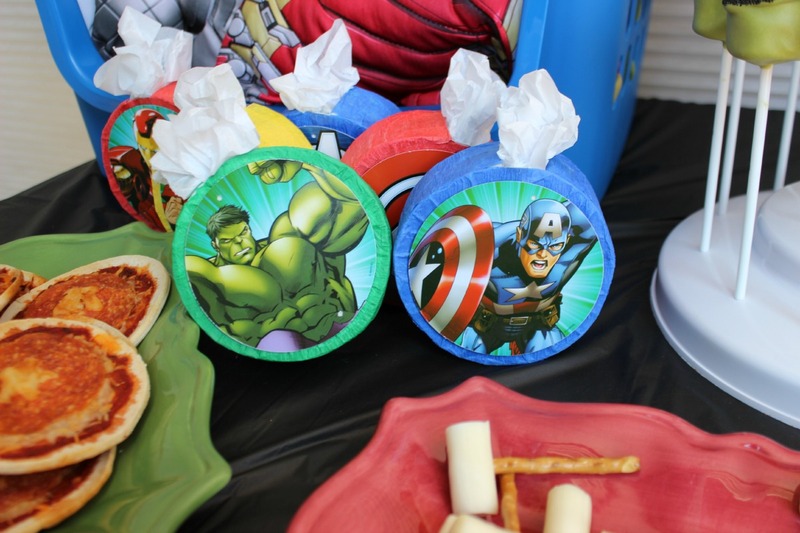 Once covered with crepe paper, I just used double-sided tape to attach some Avengers decorations I picked up from Walmart. They’re like goody bags, but better. For the snacks, I tried to think of something to represent each character. I went with our four favorite characters: Iron Man, Captain America, Thor, and Hulk. 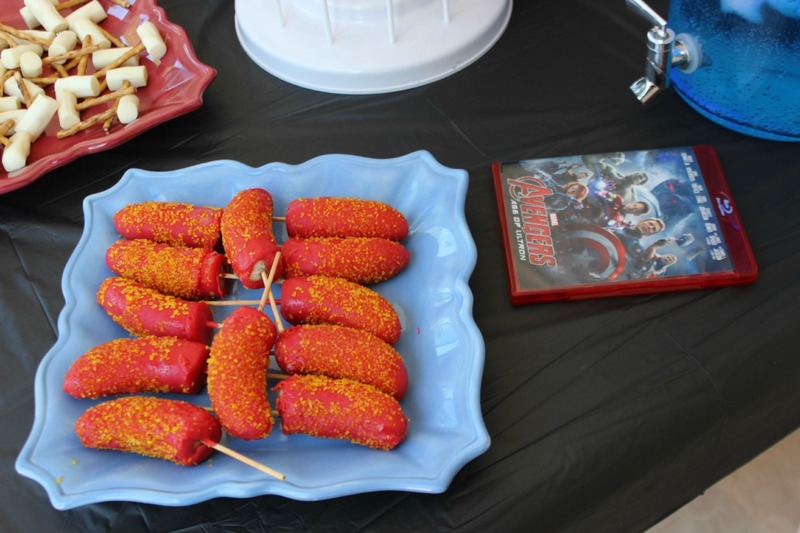 For Iron Man, I whipped up some “Iron Man-nanas.” A fun twist on frozen bananas, we dipped cut-up bananas in some red candy coating and then topped with some yellow sprinkles. Yum! 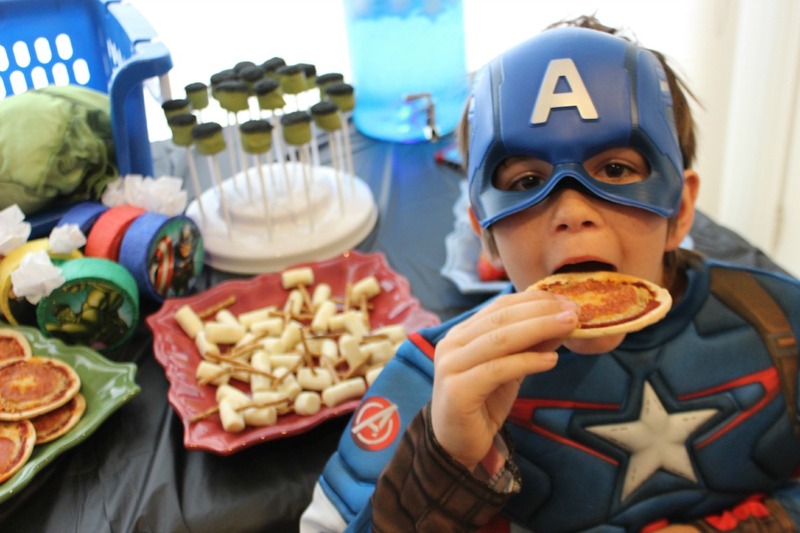 For Captain America I made some mini pizzas similar to our Superhero Lunchbox Pizzas. 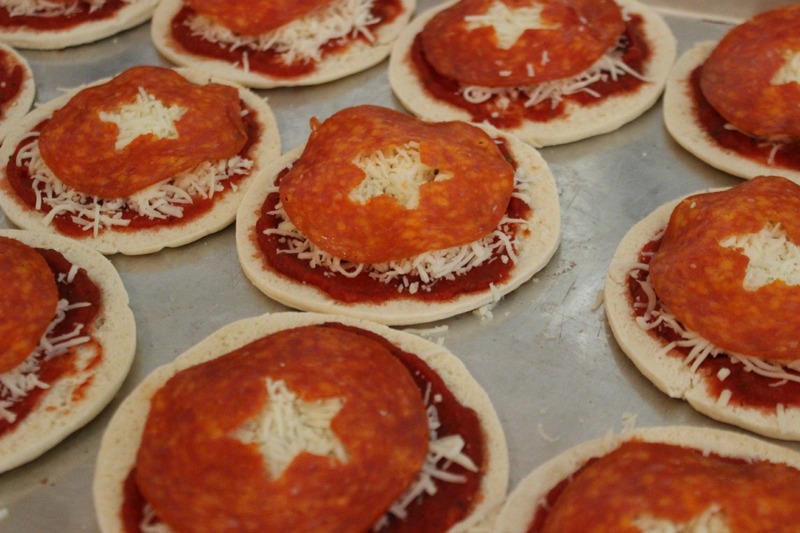 For the party I wanted to keep it a little less time-consuming to make, so I did sandwich rounds, pizza sauce, mozzarella cheese, and a sandwich-size pepperoni with a star cut out of the middle. Bake until the cheese melts and serve! For Thor, mini-Mjölnirs were a big hit! (Get it?!) 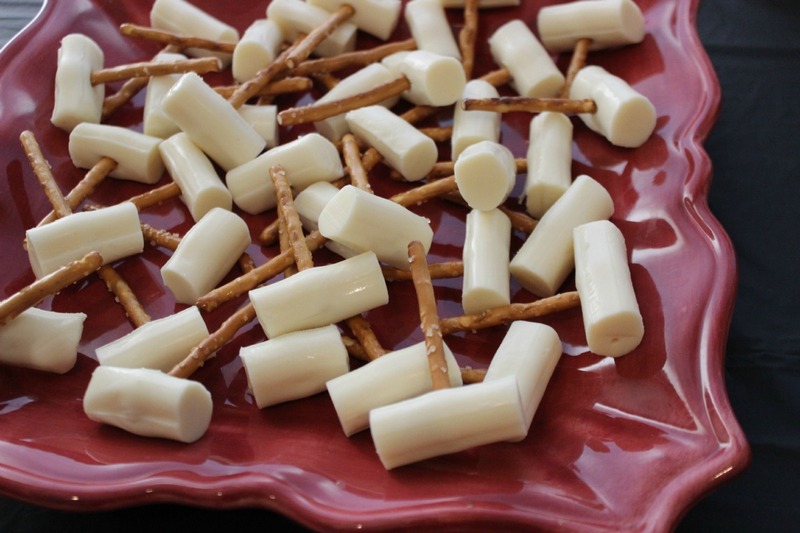 All you have to do is cut up string cheese into thirds and stick pretzel sticks in them. The kids could even do this one while you get everything else ready. 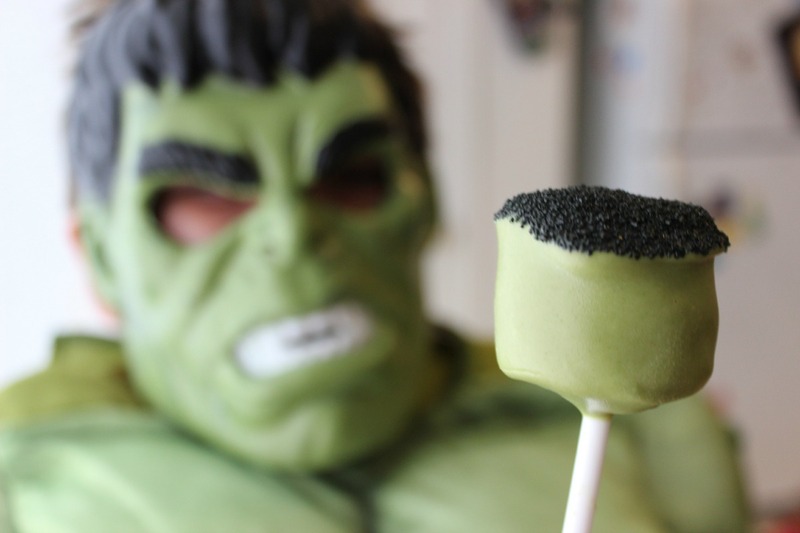 For Hulk, I made Marshmallow Hulk Pops which are ridiculously easy. Just coat some regular-sized marshmallows into green candy coating and then dip the tops in black sugar or chocolate sprinkles. Super simple and super cute. I mean, super awesomely cool. 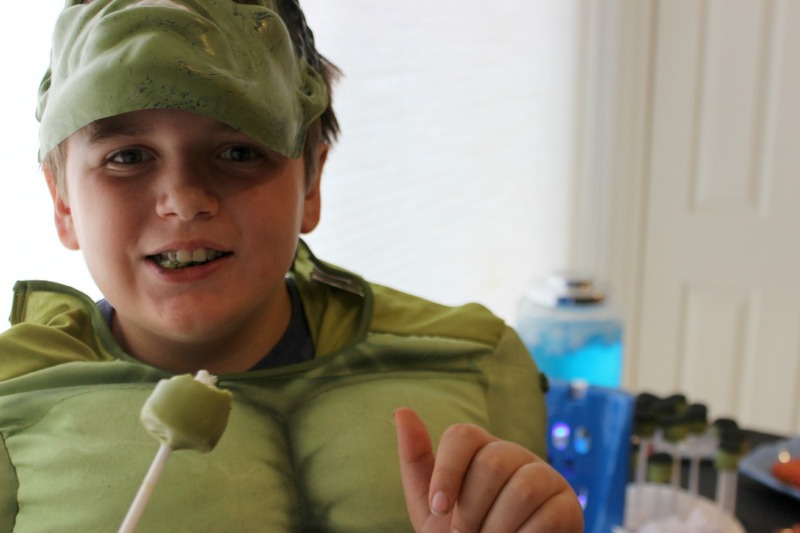 I actually used white candy melts and an all-natural green food dye which made the PERFECT hulk green color. 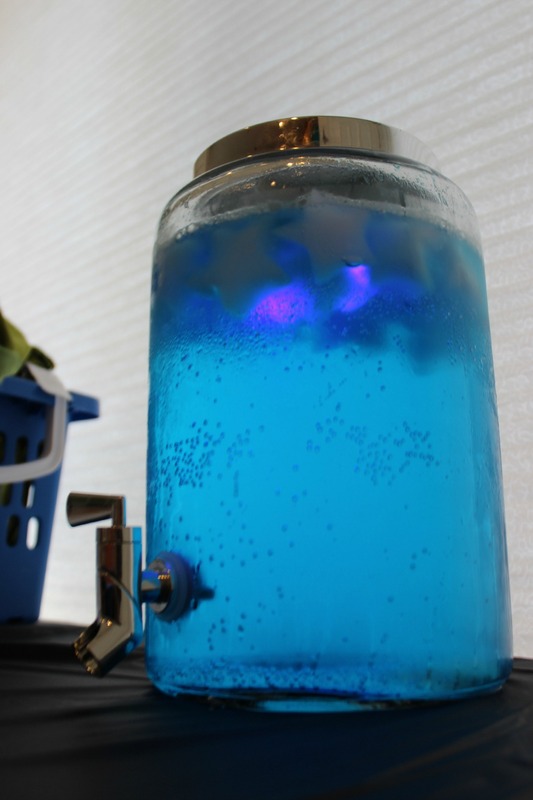 I knew my superheroes were going to get thirsty from saving the planet, so I put together a really special drink that would be perfect for any Avenger, Tesseract Punch. This was really fun to make. I had to figure out a way to make the punch glow without potentially contaminating it, so after a lot of research, I settled on some blue submersible lights from the Halloween store. They have the option of a solid light, a fast blinking light and a slow blinking light, and they can float at the top of the drink or be pushed to the bottom. For the drink itself, I made a simple sugary concoction. A few containers of blue italian ice cups, some lemon-lime soda, and star-shaped ice cubes. Not surprisingly, everyone loved. it. And of course what would a costume party be without the costumes! 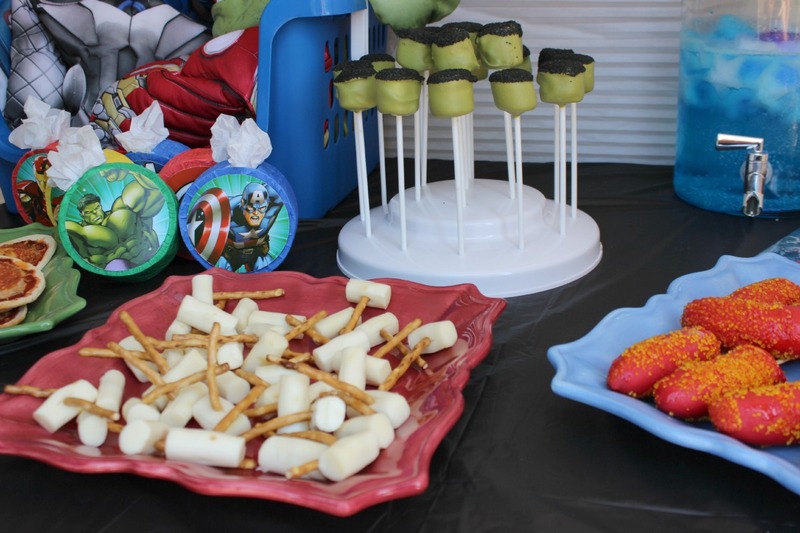 I picked up a great basket while I was shopping for the party supplies, and set it up on the table so that guests could grab some Avengers accessories to complete their costumes. 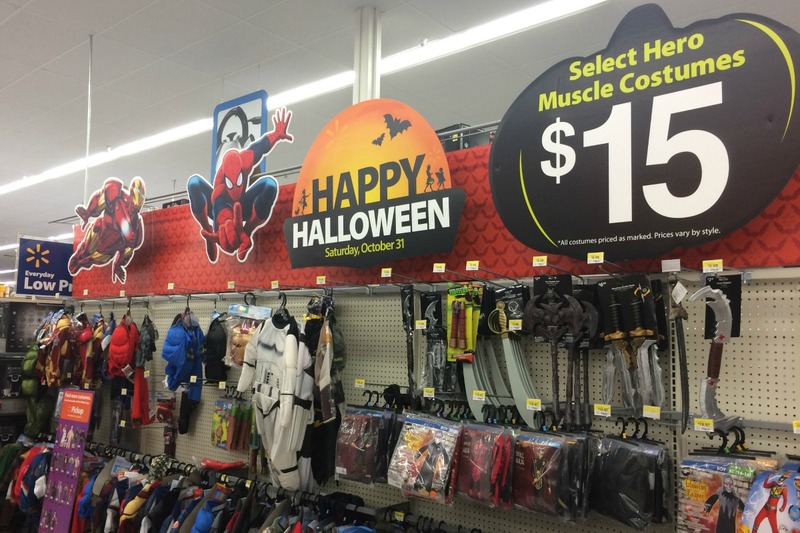 With all of the $15 MARVEL costume options from the Halloween section at Walmart we were pretty set! 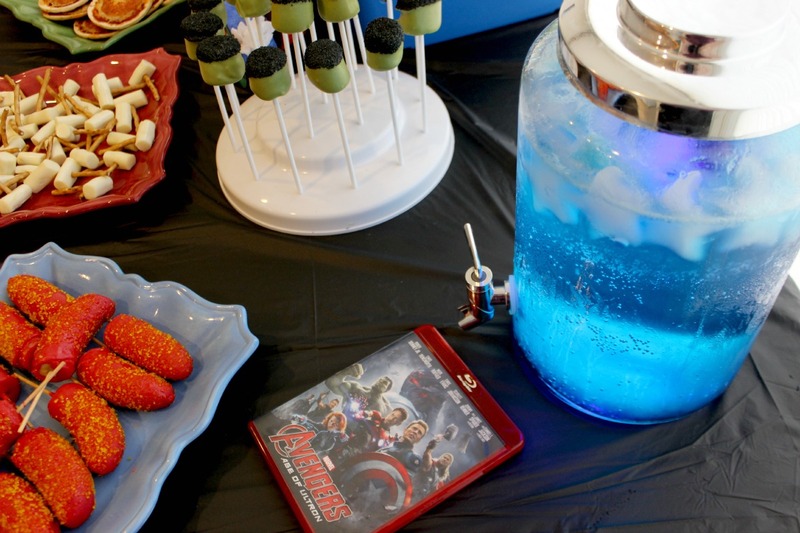 What do you think of these fun MARVEL’s The Avengers: Age of Ultron movie party ideas? 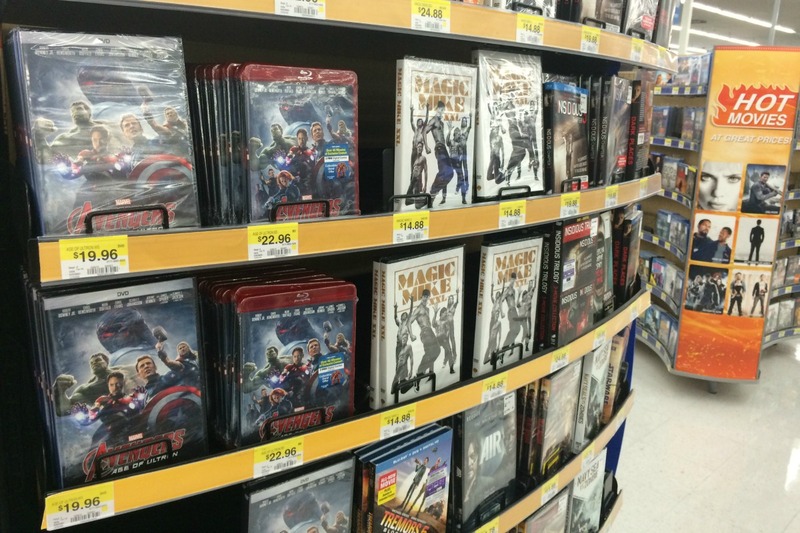 And don’t forget to pick MARVEL’s The Avengers: Age of Ultron on your next Walmart trip while you’re getting your costumes and party supplies! Find it in the electronics section with the other new releases!